This is a chiffon cake for coconut fans. The subtle sweet flavor is delicately infused in the cake with a lactose free coconut custard. It's a very easy cake that bakes up into a generous four tier cake for 14. The cake texture is very similar to the light spongy layers of the fruit cakes sold at asian grocery stores. Due to it's light texture, reduced sugar, and tropical fruit flavor, it is very popular with asians. I made this for our family's Lunar New Year Celebration and it was a hit. Prepare two - 9 inch high sided pans by cutting out rounds of parchment paper and placing them in the bottom of each pan. Do not grease the pans as all chiffon cakes need to be able to climb the sides of the pans and will fall if there is oil. Re-wash and carefully wash a metal bowl making sure to remove any possible oil residue. Place beside bowl of Dry Mix. Separate all 8 eggs, putting the yolks in to the Dry Mix, and the whites into the empty bowl. Set egg whites bowl aside. Into the Dry Mix bowl, add oil, water, and coconut and vanilla extract. Beat together to combine. In the other bowl, beat the egg whites, cream of tar tar and the 1/4 cup sugar until stiff peaks form. 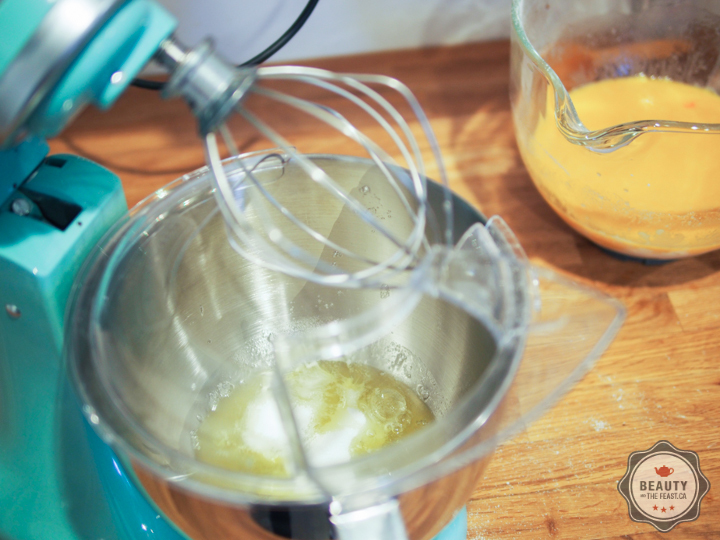 I did this in my kitchen-aid mixer at medium, but you could use a hand-mixer or even whisk it by hand. You should be able to tip your bowl upside down and the egg whites will stay put. Add about 1 cup of beaten egg whites to your batter and beat with a wooden spoon to blend it in. Repeat this once more. Now the batter should be light enough for you to fold in the remaining egg whites carefully without deflating the whites. Divide the batter between the pans and bake for about 35 minutes or until a toothpick tests clean. 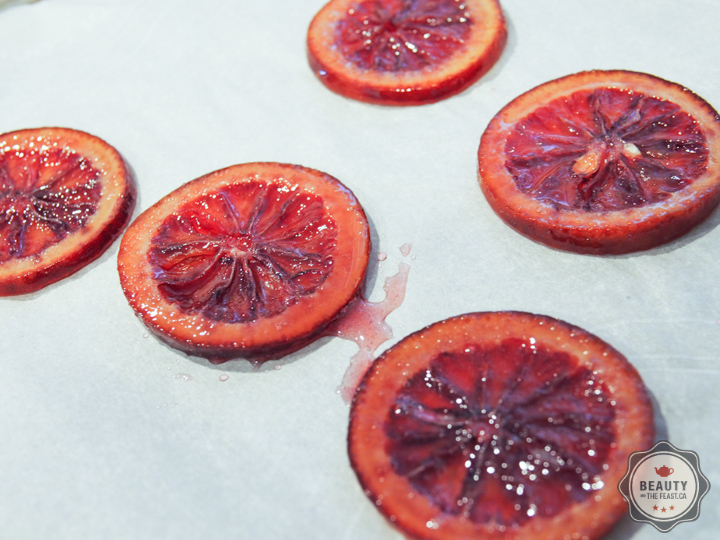 Remove from oven and let cool 10 minutes before removing the cakes to wire racks to fully cool. Combine the cornstarch, cream of coconut and the sugar and stir in egg yolks. Add Coconut Milk and water and stir well to combine. 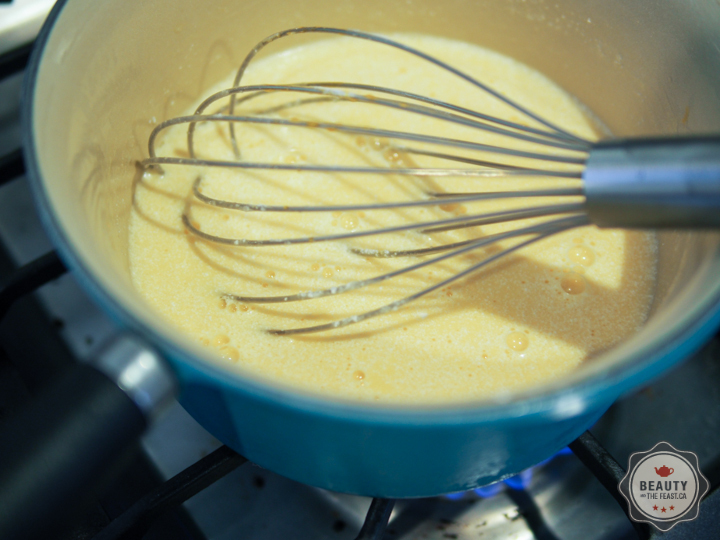 Stir constantly over medium heat with a whisk until the custard thickens and comes to a light boil. Remove from heat and add the coconut and butter. Stir for 5 minutes and spread over three of the split layers of cake. As life has a way of interfering, or the cake taking longer than expected to bake or cool, pour into a glass bowl and cover with plastic wrap - pressing the wrap onto the surface of the custard to keep a skin from forming. Leave it on the counter. Whip everything together until the whipping cream is stiff. Be careful not to beat your whipping cream until it is no longer smooth. Watch it carefully. It should be firm and it can change in a few seconds so don't walk away from your mixer. Once the cake layers have cooled. 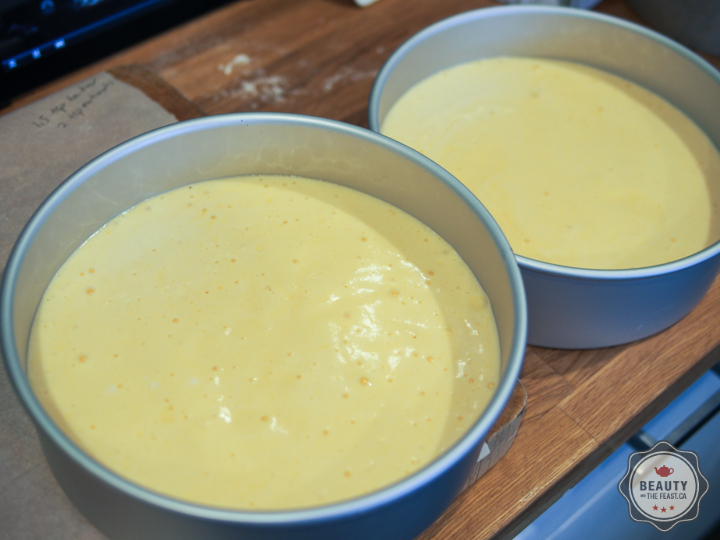 Split each layer in half and spread the still warm custard over three layers. Reserve one bottom of the cake for the top and do not put custard on it. 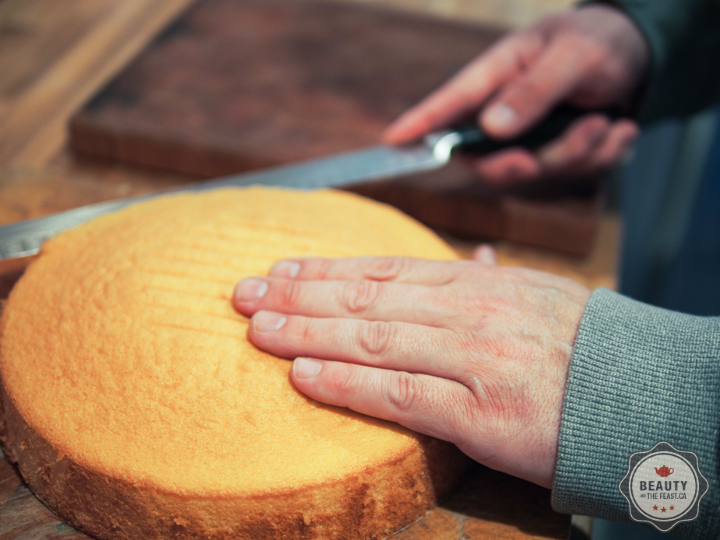 Allow the custard to set 30 minutes on each layer before stacking layers onto a large cake plate. Spread a thin layer of the whipped cream over the sides and the top. Return to fridge to chill for 20 minutes. Spread another more generous layer of whipping cream over the cake. Sprinkle coconut over the sides by cupping the coconut in the palm of your hand and pressing gently. Once the sides are evenly coated with coconut, take the bits that have fallen onto your counter and put it on the top of the cake. Put remaining icing into a piping bag and decorate as you wish. 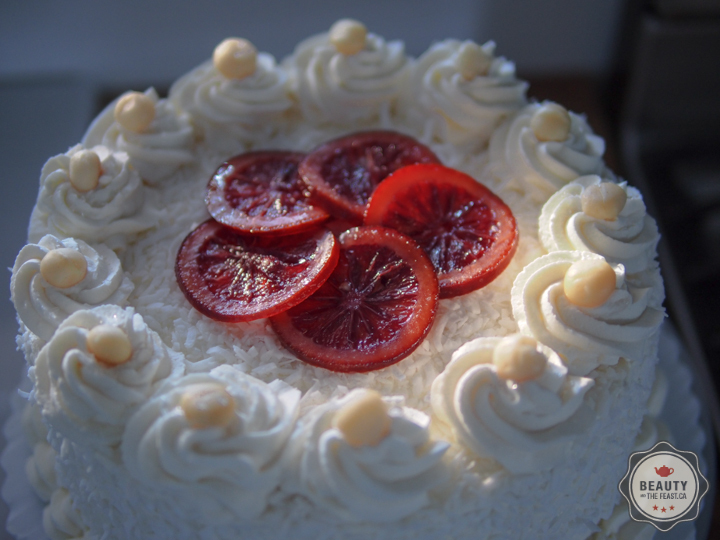 I placed a few slices of candied blood orange, which ended up tasting really nice with the coconut of the cake. Refrigerate until you are ready to serve. Cover with plastic wrap if you are using it the next day. This cake doesn't last long because its too delicious to go stale. This recipe is inspired from the Coconut Chiffon at Mennonite Girls Can Cook. I bumped up the coconut flavour, reduced the sugar, tweaked the custard, and increased the stabilizers to ensure a more travel-worthy cake. I hope you like this recipe as much as my family did!